This bright LED flood light connects to the side of your Robopak, allowing you to use the light separately or simultaneously with common voltage (10v to 36v) tools. 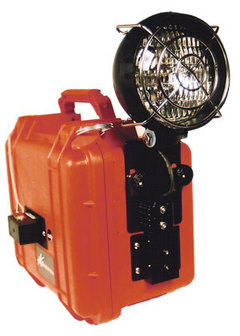 Features include 8 LEDs, 1,400 lumens, multi voltage design and a hard coated polycarbonate heated lens. Approximate run time is 12 hours.